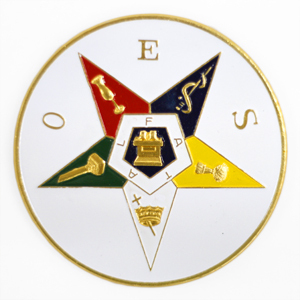 OES Pen, Los Angeles Fraternal Supply Company Inc. 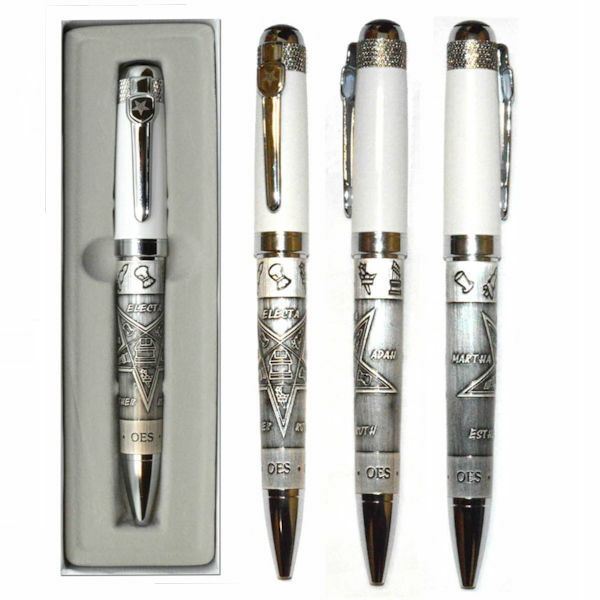 This Beautiful OES Pen has the Star embossed on the barrel of the pen along with all the Star Point symbols and the names of the Star Points. There is Star etched at the top of the pocket clip. This is a good, solid pen and makes a great gift for a new member and includes a gift box.